Text-to-911 capabilities is still a new feature, but it is one that is now being offered by four different carriers in the US. This new feature took effect May 15 and so far the voluntary program has been very successful. Used as an alternative to making a voice call during an emergency, the text-to-911 feature does have its pitfalls. For example, the area 9-1-1 center might not have enough employees on hand to take the text message when it is sent. Understanding texting for 9-1-1 service is a must, considering this might very well be the method of contact that is needed to get you help. Take a look at a few facts of text-to-9-1-1 that are important for you to know. The Federal Communications Commission or the FCC, states that Sprint, Verizon, AT&T and T-Mobile are the four carriers how are now offering text-to-9-1-1 service. 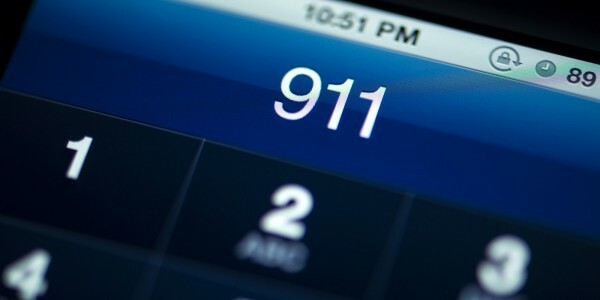 It is simple to use the text-to-9-1-1 service. By simply entering 9-1-1 in the number field of the messages section of your phone and the nature of the emergency being experienced inside of the body of the message and hitting send, you can get the word out that you need help, but only at centers equipped for such a feature. If your area does not support text-to-9-1-1, a message is immediate sent to you informing you that the message sending has failed. While there are many cities and states that do support the service, there are still many that do not support the feature. As we have already discussed there are some potential problems that can result with the new text message service. Not only is it not a feature that is supported in all areas text messages to 9-1-1 can also be delayed and it is almost impossible to know for sure if your message was successfully sent. Additionally, if messengers do not list the address of their emergency, further problems and delays might be mandated. With the stress most people are already in when an emergency situation, adding even more is not something that most people want to do.